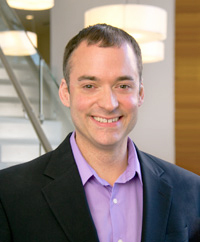 Jason Och is a principal in the Litigation Support practice area of Applied Marketing Science (AMS). He is responsible for the delivery of survey research and other marketing science initiatives to support expert testimony in civil cases. Jason has extensive experience directing research in a variety of cases, including trademark and trade dress infringement, class action matters, false and deceptive advertising, antitrust issues and patent damages. He works closely with academic experts, attorneys and other stakeholders to design, develop and execute rigorous online, telephone and in-person market research initiatives in support of litigation goals. Before joining AMS, Jason was a senior project director at the Boston office of Opinion Research Corporation (ORC-Guideline), a leading full-service market research firm. At ORC he managed end-to-end delivery of primary research projects for high-value strategic clients. Prior to that, Jason held positions as director of client projects, project manager and analyst at Resonance Insights, a custom market research firm based in Salem, Massachusetts. There he was instrumental in designing and launching online tools to help product designers and marketers identify customer needs and evaluate new product concepts. Originally from Minnesota (“Land of 10,000 Lakes,” 1,000 recipes for “hotdish,” and one Bob Dylan), Jason enjoys hiking and camping with his family, as well as any other excuse to get out to the woods and lakes that remind him of home. An avid fan of live rock, funk and jazz music, Jason eagerly awaits the day when science develops a working time machine so he can go back and see Elvis, Sinatra, James Brown, Jimi Hendrix and John Coltrane live in concert. Jason holds a B.S. in electrical and computer engineering from the University of Wisconsin – Madison.